O-Week officially marks the kickoff of Semester One at Monash. 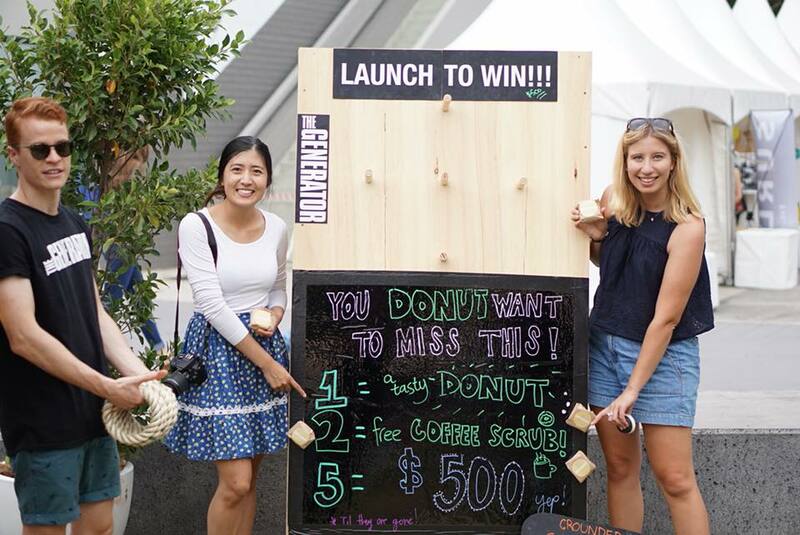 With fun, games and lots of fresh faces, O-Week is a time for new students to eat free food and find their tribe at uni by exploring the plethora of extracurricular clubs and programs on offer. Due to the stellar success of the 2018 Generator ‘ring toss for a free doughnut’ game, we’ve decided to bring it back for round two. We’ll be there in full force, fully stocked with a mountain of delicious Krispy Kremes to share with any keen bean with a killer ring toss aim. But O-week isn’t all fun and sugar, oh no. We invest so much time and deliciousness into this four day event because it’s an incredible opportunity for us to meet you face-to-face, and get deep insight into what motivates you and how we can help. Even if you don’t identify with the words ‘startup’ or ‘entrepreneur’, you might still have what it takes to change the world. So if you’ve got some spare time between 25-28th Feb to have some fun and have a chat, pop down to say hi.